School cafeteria lunches are often unhealthy and less than tasty, and for vegetarian kiddos, the options might be limited to french fries and cookies. But bringing lunch from home doesn't mean your child needs to be stuck with a PB & J sandwich everyday. If you have a few spare minutes, you can prepare some simple and satisfying vegetarian lunch options that will surprise and delight your tot when he opens his lunch box. Read on for healthy, homemade lunches so delicious, your kids won't even be tempted to make a lunch hour trade. 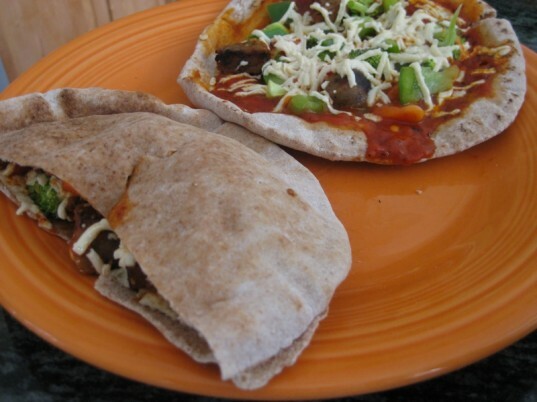 Leftover pizza (especially the kind loaded with veggies) is a great lunch option. But just as easy are pita pizzas. We like the idea of making them into pizza pockets to minimize mess. Spread tomato sauce on the inside and then add whatever cheese, veggies, or other toppings you like. Bake in the oven until cheese melts or microwave until heated through. Choosing a whole wheat or sprouted wheat option for the pita bread is a great way to make sure kids get maximum fiber benefits . You can also make the pita pizza the more traditional way by simply topping the pita bread with sauce and other goodies before heating. As long as your kid is okay with cold pizza, these transport perfectly in a lunch box. 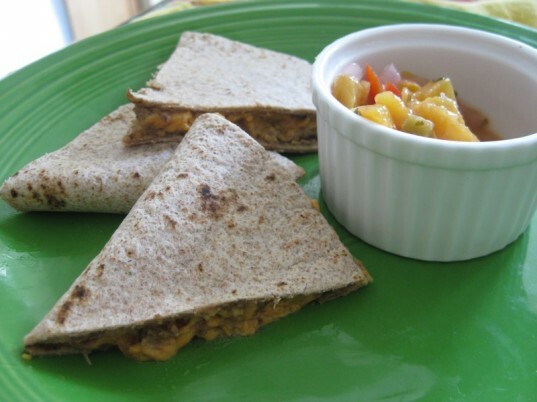 Quesadillas are an easy, satisfying vegetarian option. I love it as a mom because the cheesiness (we are addicted to Daiya vegan cheese at our house) is also a great disguise for anything else that I want to sneak in there. Currently, I’ve been spreading a protein-packed, mild black bean hummus on the interior sides of the tortilla before adding the cheese. Or stuff the quesadilla with some ground veggie meat, slices of avocado, chopped tomatoes, even a spinach puree. Top with salsa or provide some for dipping on the side. Just because summer is over doesn’t mean the barbecues have to stop. This BBQ pasta salad is tasty and filling and can be endlessly varied to include different types of beans, baked tofu or tempeh, or other veggies. Best of all, it tastes delicious whether heated or chilled. To make 2-3 servings, boil 1 cup of pasta, such as mini shells or wagon wheel-shaped, until al dente. Meanwhile, mix together 2 Tbsp ketchup, 1 1/2 Tbsp mustard, 1 Tbsp mild-tasting oil, 3/4 Tbsp soy sauce, 1 tsp molasses, and 1/2 tsp cumin. In a pinch, you can also substitute prepared BBQ sauce. 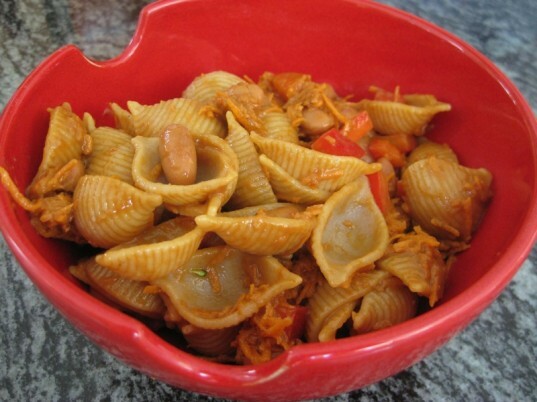 While pasta is still warm, add ½ cup of pinto beans, ¼ cup chopped red pepper, and 1 shredded carrot. Spoon a few tablespoons of the BBQ sauce over mixture and mix, adding more sauce as necessary. Pasta salads are a great option for a lunch that can be made earlier in the week and then munched on for a few days afterward. Some kids are sandwich obsessed and would happily chomp on PB & J every day of the week. 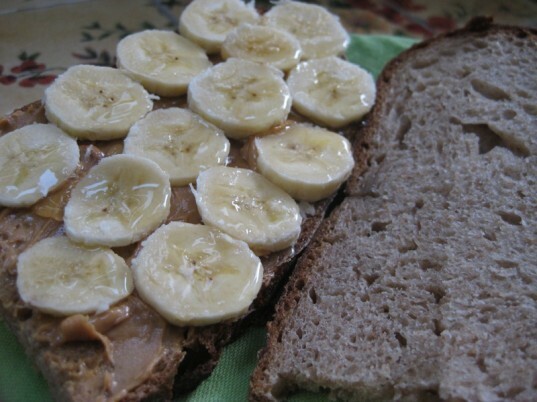 Add some variety to their diet by introducing some equally tasty PB & J alternatives. Try swapping the type of bread you use for example – maybe whole wheat one day and then rosemary with flax seeds another. You can also try some variations that won’t rock the boat too much – like adding avocados to a grilled cheese sandwich or making a vegetarian Elvis sandwich. Spread nut butter on one or two pieces of bread. On one piece, add slices of banana. Drizzle with honey and add the other slice. If you’ve got a Panini press, now’s the time to use it! The traditional Elvis sandwich also included slices of bacon, so you can substitute some veggie bacon for adventurous eaters. Yogurt is a popular lunchtime choice, but it is not usually enough to fuel your tot for the rest of the day. That can be easily remedied by making a yogurt parfait. Choose one of the unsweetened (or less sweetened) options out there, such as So Delicious’s Plain Cultured Coconut Milk Yogurt. Then add fresh fruit such as bananas and blueberries. Add a layer of granola on top (and on the bottom if you like), preferably one made with nuts. 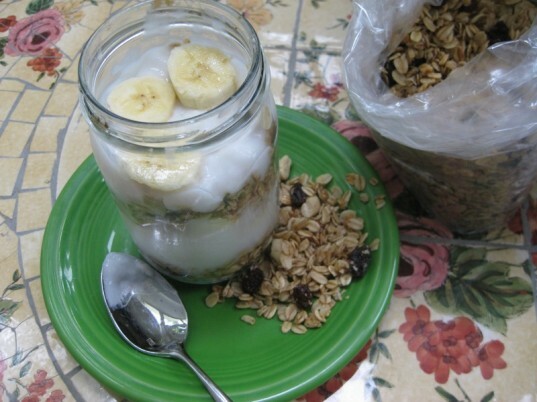 My favorite homemade granola version (from Vegan Soul Kitchen) uses coconut oil and almonds, which both contain healthy fats to keep your child’s hunger satisfied. 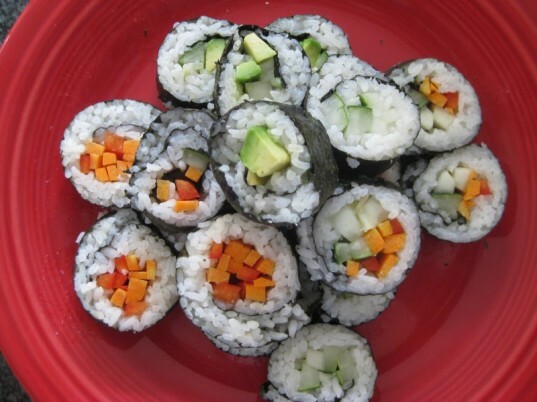 Vegetable sushi is available at most grocery stores now, but you can personalize it with your child’s favorite veggies at home (and it’s also a lot less expensive than store-bought versions). Making hand rolls is especially easy. Another fun option is inari, which is simply a soybean wrapper stuffed with rice. For those mornings when assembling and rolling sushi is not happening, have the makings of a deconstructed sushi bowl on hand. The night before: prepare some rice and toss with a minimal amount of sesame oil or brown rice vinegar to keep rice from sticking and clumping together. Cube some seasoned tofu, and thinly slice carrots, cucumbers, red peppers, and any other veggies your child will chomp on. Throw it all in a container and drizzle some teriyaki sauce on top along with strips of nori. Sometimes we find ourselves without a lunch centerpiece, or what we call an “Odds and Ends Lunch.” On those days, declare your child’s lunch tapas-style. Kids love finger foods and being able to pick and choose, so give them a little sampling of some delectable treats. 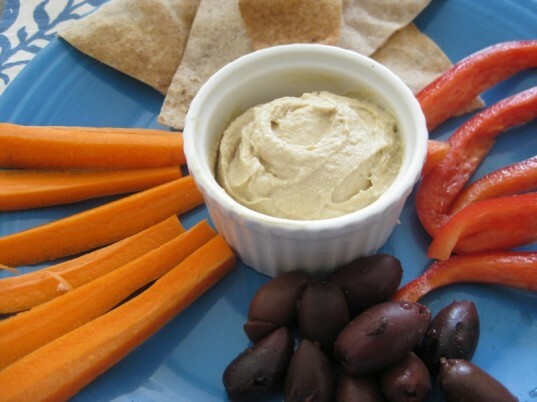 Try containers of chopped olives, hummus, cucumber and carrot spears, sun-dried or regular chopped tomatoes, and a dinner roll, pita chips, or part of a baguette. Kids will get a kick out of assembling their own foods, and they also can nibble some of the offerings as a snack if they can’t wait until lunchtime! I love these ideas for lunches but it always drives me nuts when dishes are displayed beautifully on plates, dishes etc. The reality is tupperwares, with all ingredients mixed together. And that makes a difference for how kids feel about the food they eat! !n Same dsih, different appearance = less interest from the kids. Some kids are sandwich obsessed and would happily chomp on PB & J every day of the week. Add some variety to their diet by introducing some equally tasty PB & J alternatives. Try swapping the type of bread you use for example - maybe whole wheat one day and then rosemary with flax seeds another. You can also try some variations that won’t rock the boat too much - like adding avocados to a grilled cheese sandwich or making a vegetarian Elvis sandwich. Spread nut butter on one or two pieces of bread. On one piece, add slices of banana. Drizzle with honey and add the other slice. If you’ve got a Panini press, now’s the time to use it! The traditional Elvis sandwich also included slices of bacon, so you can substitute some veggie bacon for adventurous eaters. Sometimes we find ourselves without a lunch centerpiece, or what we call an "Odds and Ends Lunch." On those days, declare your child’s lunch tapas-style. Kids love finger foods and being able to pick and choose, so give them a little sampling of some delectable treats. 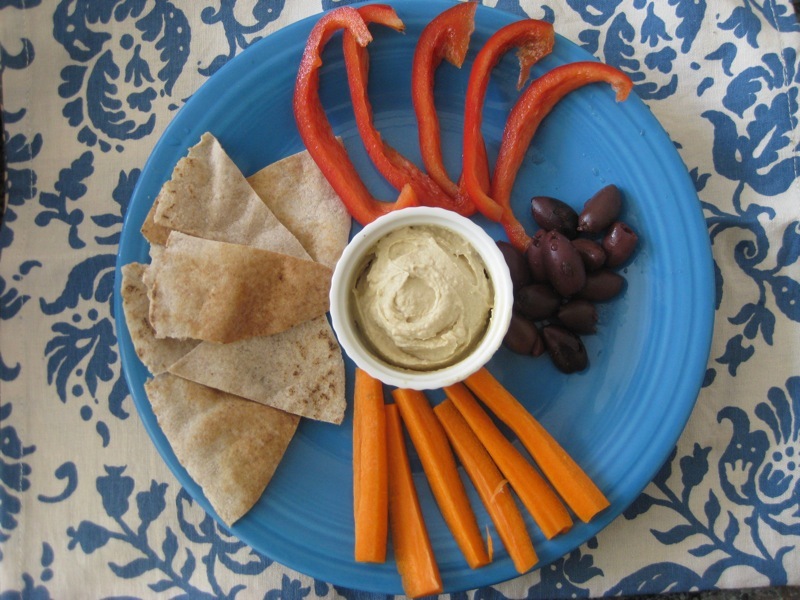 Try containers of chopped olives, hummus, cucumber and carrot spears, sun-dried or regular chopped tomatoes, and a dinner roll, pita chips, or part of a baguette. Kids will get a kick out of assembling their own foods, and they also can nibble some of the offerings as a snack if they can’t wait until lunchtime!